The IPA Beer Trail Runs will feature two new courses along the shoreline of Folsom Lake with challenge and fun artfully combined. Included for each runner is a custom IPA Beer Run Glass, and a chance to fill it with local craft brew after the race, plus hot post race food and awards three deep in each division plus raffle prizes! The IPA Beer 12K Trail Run will start at 8 a.m. The IPA Beer 5K Trail Run will start at 8:15 a.m.
Race shirts, in soft cotton with men's and women's cuts, are available for $15 when pre-ordered before January 5th. 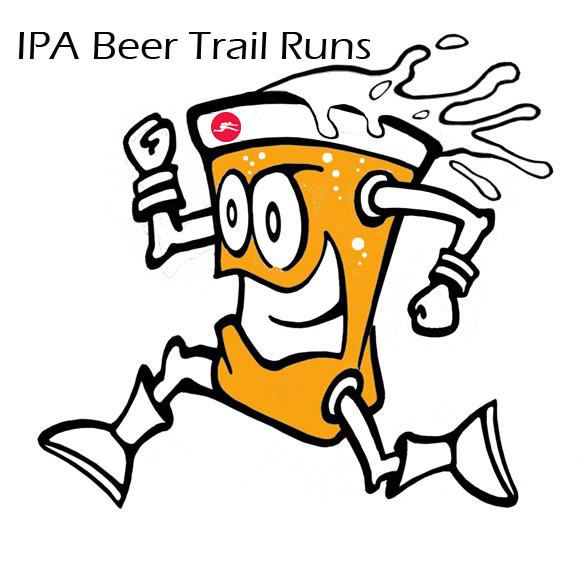 Packet pick-up for the IPA Beer Trail Runs will be available at the race site on race morning from 6:30 am to 8 am. First place Overall Male and Female in the IPA Beer Trail Run 5K and 12K will receive Overall Champion Awards. There will be awards three deep in each ten-year age group for both races. TBF Racing always needs volunteers to help keep our events organized, safe, and fun. If you or a friend would like to volunteer, please email Teri@totalbodyfitness.com. 12K starts at 8 a.m.